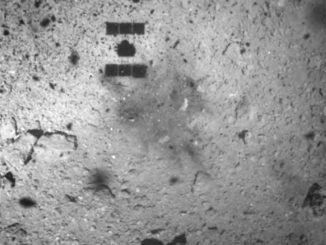 Japan’s Hayabusa 2 spacecraft briefly landed on an asteroid Thursday more than 200 million miles from Earth and fired a bullet to scoop up a rocky sample, successfully accomplishing one of the mission’s most challenging manoeuvres before returning the asteroid specimen to scientists on the ground in December 2020. 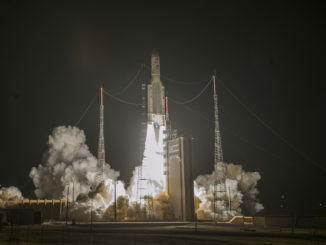 A powerful European Ariane 5 rocket blasted off from French Guiana late Friday and boosted a pair of satellites into space for a seven-year plunge into the inner solar system, a voyage requiring seven planetary flybys to slow down enough in the sun’s gravitational clutches to slip into orbit around hellish Mercury. 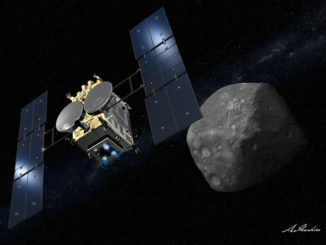 Pioneering spacecraft from NASA and the Japanese space agency promise to reveal two unexplored asteroids later this year, officials said Wednesday, beginning surveys that will culminate in daring descents to capture samples for return to Earth, where eager scientists await a hands-on look at the specimens. 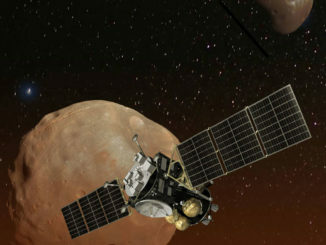 NASA announced Thursday it will fund development of a scientific instrument that will fly on Japan’s Martian Moons Exploration mission, a robotic probe set for launch in 2024 to bring back the first samples from Mars’ largest moon Phobos. 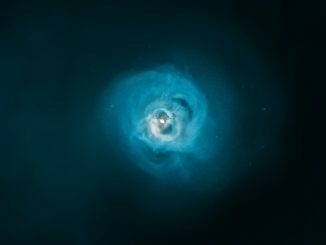 Thanks to an in-depth look into the composition of gas in the Perseus galaxy cluster, Japan’s Hitomi mission has given scientists new insights into the stellar explosions that formed its chemical elements. 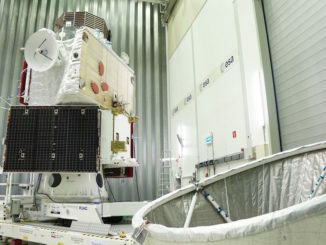 Three spacecraft built in Europe and Japan have completed their final joint tests to ensure they are ready for departure to Mercury on an Ariane 5 rocket late next year on the nearly £1.5 billion BepiColombo mission to survey the Solar System’s innermost planet. 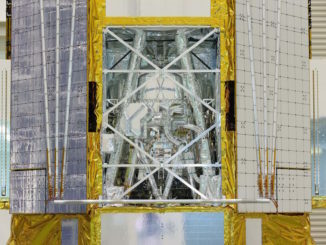 The Japanese space agency is moving ahead with a smaller-scale X-ray astronomy satellite to replace the failed Hitomi observatory, which spun out of control about a month-and-a-half after its launch last year. 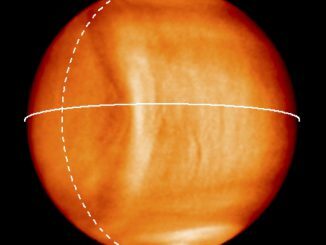 Images from Japan’s Akatsuki spacecraft have revealed a gigantic wave in the atmosphere of Venus, and scientists say it may be the largest such feature in the solar system. 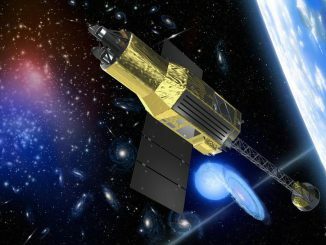 Japan’s doomed Hitomi observatory peeled back a veil on the inner workings of the Perseus cluster of galaxies before the satellite spun out of control earlier this year, revealing in unprecedented detail how gas heated to millions of degrees behaves around an unseen supermassive black hole, scientists said. 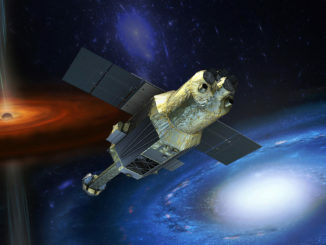 Japan’s space agency says it has ceased efforts to rescue a failed X-ray astronomy satellite after it spun out of control and broke apart in orbit, declaring the nearly $400 million mission lost two months after its launch.